• Turning off in-mall music, stopping escalators located near the photo set, dimming the lights and shutting down fountains for the duration of the event. • Special activities geared toward the needs of the child during the ‘wait’ period to help the child understand what activities will occur during the visit. Caring Bunny, the largest program of its kind, has been developed by Simon and is guided by AbilityPath.org, a national online resource hub and special needs community. You can make a reservaton online for a specific time at the event’s ticket page. The regular Bunny Photo Experience begins Friday, March 9 at 10am and runs through Saturday, March 31 at 8:30pm in Center Court outside of the Dining Pavilion. Kids will have the chance to visit with the Bunny and take home a treasured snapshot of the fun occasion. Families who purchase a photo package will receive a complimentary children’s ticket* to visit the Crayola Experience (while supplies last). 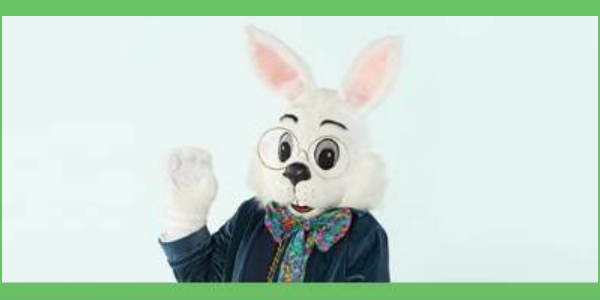 This year, skip the line and book your family’s reservation with the Easter Bunny online at simonbunny.com. Additionally, hop on over to The Florida Mall for an Hoppy Easter Brunch on Saturday, March 24 from 10am – 12pm in Center Court outside of the Dining Pavilion. Every-bunny will have the opportunity to enjoy an assortment of brunch items, kids crafts and activities, and special offers for Bunny photos during this free event. To attend, please RSVP here.